Looking for a new way of cook meat (and other stuff) at home? M was. 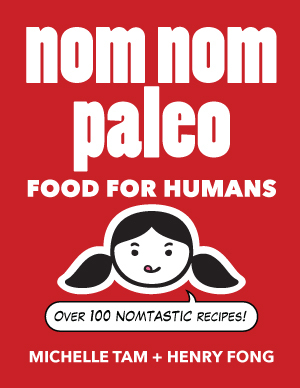 A full year after the paleo-lovin' Drs. Eades (of "Protein Power" fame) introduced the Sous Vide Supreme, and well after renowned food authors, foodies, journalists, tech blogs and gadget geeks alike gave the kitchen appliance a big thumbs up, M finally got us one. Sous vide combines the gentle, steady heat of poaching and an airtight seal, as in traditional methods of cooking in clay. “The food literally stews in its own juices: no air, no water, no evaporation,” said Wesley Genovart, the chef at Degustation, a restaurant in the East Village, who has experimented with sous-viding everything from carrots to crème brûlée. Until now, home cooks wanting to try the method have had to improvise, with solutions from low-tech (a stockpot and a handful of ice cubes) to high (a chamber sealer and an immersion circulator, generating about $1,500 in start-up costs). But there seems to be an audience, however small, for an easier and cheaper way. High-end restaurants have long been using this cooking method to create perfectly-cooked dishes with concentrated flavors. The French Laundry/Per Se's Thomas Keller penned a sous vide cookbook a couple years back, and has proselytizing about it for years. And, of course, Bravo's "Top Chef" has introduced sous vide cooking into the vernacular of reality-show viewers everywhere. What's so great about sous vide cooking? [T]he selling point of the cooking method is the steady, low temperature, not the airless environment. By traditional methods, the steak has to be blasted with heat from the outside, anywhere from 350 degrees (normal oven temperature) to 800 degrees (the grill at Peter Luger’s). As the heat transfer takes place, the meat changes: proteins coagulate, fibers contract, collagens loosen, liquid evaporates. By the time the center is a rosy 135 degrees, the surrounding flesh is dried out. “About 45 percent of a rare beef loin cooked by normal methods is technically overcooked,” said Chris Young, the culinary research manager at Intellectual Ventures in Seattle, where Nathan Myhrvold, a founder of Microsoft, maintains a staff of 16 chefs and scientists to complete his long-awaited book on the science of gastronomy. The really expensive cuts of beef -- NY strip, rib eye, Porterhouse, T-bone, Filet (tenderloin) -- have historically been prized for their extreme tenderness, not particularly for their flavor. On the other hand, more flavorful cuts like hanger, blade, or flatiron steak are much more difficult to cook correctly -- even a tad over or undercooked, and you're left with a tough, stringy, chewy mess. But cooked properly, they can be every bit as tender as the more expensive cuts, and with more flavor to boot! That's why those cuts are commonly referred to as "chef" cuts or "restaurant" cuts -- chefs love them because they are cheap, and with proper preparation, delicious. Well, with a sous-vide cooker, anyone can properly cook those tricky chef cuts. 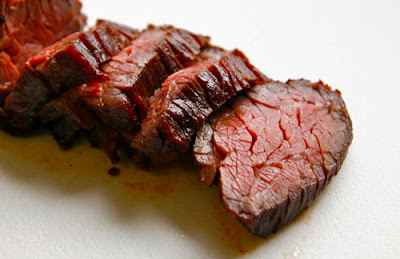 $7 per pound for a hanger steak that is just as tender and tastes much better than a $16 per pound strip steak? Yes please! M and I have enjoyed the sous vide dishes we've been served at restaurants (most recently at Eleven Madison Park and Momofuku Ko), and I'd been wanting to attempt this cooking method since learning that you MacGyver it with a beer cooler, a meat thermometer and a bunch of Ziplock bags. The Sous Vide Supreme is pricier, but easier and less messy to use, so that's the route we chose. 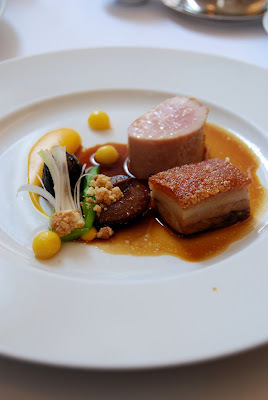 So after all that build-up, how did our first foray into sous vide cooking turn out? Dunno yet. I took so long to clear off counter space for the Sous Vide Supreme that we ended up running out of time to make dinner with the damned thing. We'll try to give it a shot in the next day or two. But if the results are even halfway decent, I'm pretty sure we're going to be having fun with this new toy for quite some time.